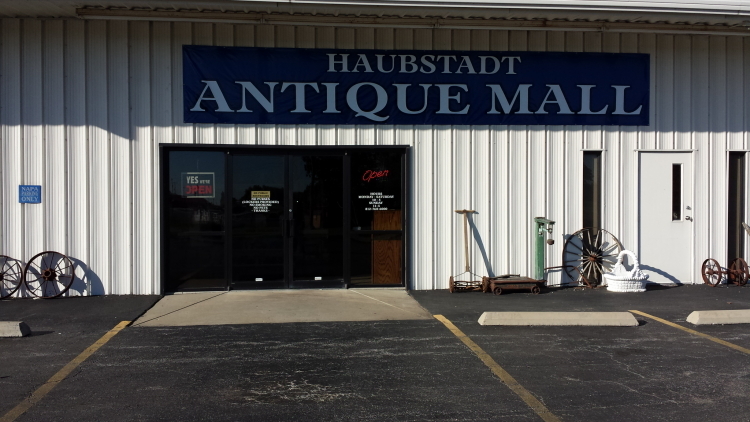 Haubstadt Antique Mall was opened in 2007. There are over 50 different antique vendors. We have 6,000 square feet ALL under one roof and on ONE level. We do have a NO PURSE policy due to all the glassware and breakables throughout the mall. We provide lockers with keys for you to use while you shop. We look forward to your visit to this wonderful Antique Mall very soon! We do have layaway and can always hold items or take payment over the phone.